Send 'United Nations Relief & Works Agency (UNRWA)' vacancy to your friends! UNRWA provide assistance and protection for some 5 million registered Palestine Refugees to help them achieve their full potential in human development. Enjoy human rights to the fullest possible extent. 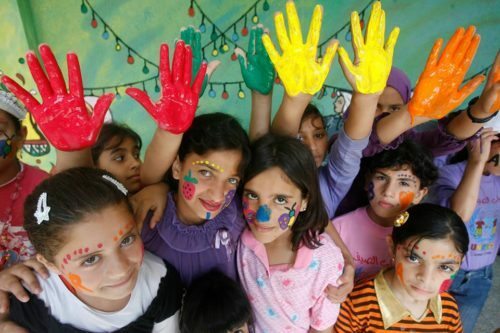 Read more on the four human development goals identified as the focus of UNRWA operations. UNRWA works on promoting access to economic empowerment and access to employment opportunities among Palestine women refugees across its different fields of operation. In Gaza, the Young Women Leaders Programme (YWLP) provides female university graduates with skills that better respond to the labour market needs. In 2016, 1147 women, as part of the Young Graduates Programme, participated in the 2.5 month training programme. Moreover, 1345 of young women graduates had the opportunity to turn theory into practice and accessed job placement opportunities in civil society and private sector. Of these, 400 took part in a 10-day work orientation scheme and 100 graduates were selected to manage 20 small scale projects aimed at improving their project management skills and community activism. In Lebanon, a MOU Partnership with Women’s Programme Association (WPA) is formed for the rehabilitation of small business enterprises of Palestine Refugees women in the camps. In the West Bank, the Cash for Work (CFW) programme continues to provide opportunities within Camp Service Offices (CSOs), localCommunity Based Organization (CBOs), schools, clinics, kindergartens, libraries and other local partners. With the aim to create new innovative job opportunities for CfW female beneficiaries and develop the CfW female beneficiaries’ skills and new experiences, the Cash-for Work programme carried out the “She can” competition. In the first half of 2016, out of 36 Expression of Interests submitted by local organizations across the West Bank Camps, 5 projects were selected to be awarded the value of approximately US$ 3000 – 5000 per project. Selected projects promise to create new innovative job opportunities for women residents of West Bank camps. In Syria, within the emergency response plan, UNRWA continues to prioritize initiatives and promote women’s economic empowerment to improve their livelihoods. In Jordan, Women Programme Centres organises sessions on capacity building to run small enterprises and access employment opportunities among women refugees (75 female participants in 2016). UNRWA also works on promoting skill development initiatives among staff, such as in the case of Gaza field office where 23 staff in HR Department were engaged in sessions on leadership, coaching and mentoring, presentation skills, and gender. 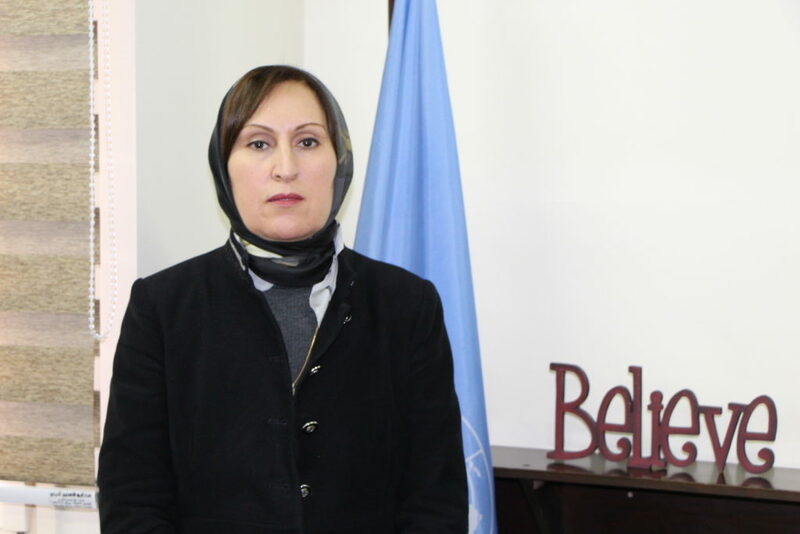 The Agency increasingly focuses attention on promoting women’s access to senior positions and has established monitoring mechanisms on the number of women in a senior position in each category of staff. UNRWA will be joining the rest of the UN system in reporting on the UN System-wide Action Plan on Gender Equality and the Empowerment of Women, or UN-SWAP, based on common performance standards for the gender-related work of all UN entities, ensuring greater coherence and accountability. What is your background? What did you do/study before working for your organisation? I have an MA in Sustainable Development from the SIT Graduate Institute and worked for more than 8 years in the NGO sector before joining the UN. I had worked for more than three years with UNRWA at a P4 level on strategic planning, monitoring, and evaluation. I felt that I had learned enough to be able to contribute at a more senior level. I am a volunteer clown and have done clown shows in Latin America, Southeast Asia, the United States, and the Middle East. Strong technical skills, self-awareness, an ability to learn on the job, and a positive attitude. I liked that UNRWA provides direct services, which is quite unique in the UN system. In the West Bank, we provide basic education to almost 50,000 students per year. What’s the best thing about working for the organization? Being able to get out to the field and meet with the people we serve. Contributing to improvements to how we strategically plan, strengthening our solid waste management programme, and working on the rollout of our transition from providing in-kind food parcels to cash support. Although we have over 30,000 staff, we only work in five fields of operation in the Middle East. This makes it very easy to discuss key issues with our headquarters and other fields. Be prepared for people to challenge you, and to have to hold your ground. Believe in yourself, but stay humble. What did you do/study before working for your organisation? I have a Bachelor’s degree in medicine and surgery and a Master’s degree in Public Health. Mainly because I believe in my leadership capacity, managerial and technical skills to manage the Health programme in Gaza, and I try to meet the increasing health needs of the Palestinian refugees in the deteriorating situation in Gaza. Being a woman with a strong personality and in the same time having a very positive attitude in dealing with all stakeholders. The high level of transparency and the enhancement of gender equality. Serving people in need of meeting their needs. 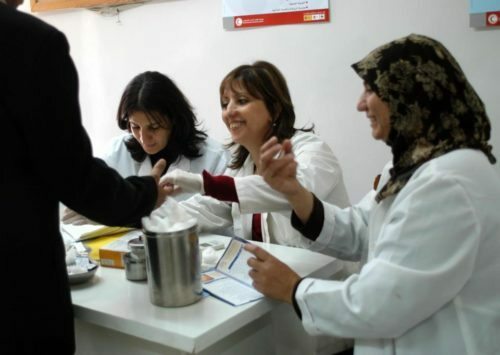 Improving the quality of health care provided by UNRWA and implementing the health reform in all health centres, as well as achieving all of the targets of the performance indicators related to health programme, which now reflects a better quality of health care. Finally, the capacity building of the health staff in the Gaza field and enhancing positive culture among UNRWA Health Programme. The kindness of its staff is always a nice surprise and the will to continue achieving, despite the harsh challenges of the violent conflicts in Gaza. To believe in herself (very important! ), have clear goals and then to have the insistence to achieve them and never to give up despite all of the challenges. If you are looking for a rewarding opportunity to make a tangible difference for one of the most vulnerable communities in the world, UNRWA would like to hear from you. In this role, you will be the Commissioner-General’s principal support in the effort to mobilize the high volumes of funds and resources needed to assure the achievement of UNRWA’s mission.